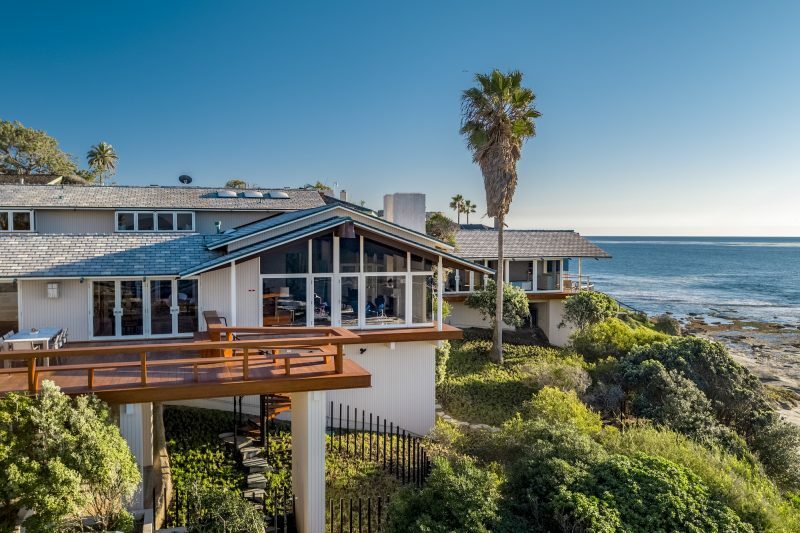 Ideally situated on over one acre of land overlooking the Pacific Ocean in La Jolla, California this home offers a rare combination of direct ocean views that span from the southwest over the Big Rock surf break up to world famous Windansea Beach and as far north as Palos Verdes. 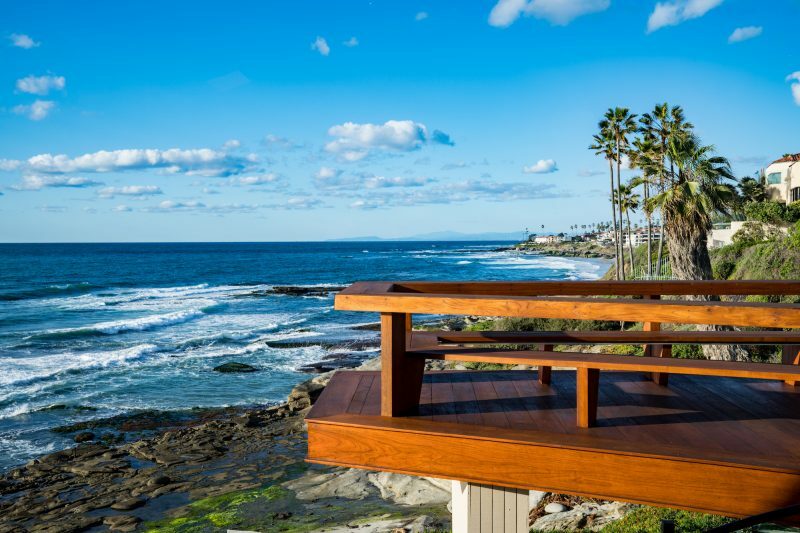 The topography is such that the home feels immensely private – barely visible from the street – yet open and exposed to the gorgeous Pacific Ocean and rocky coastline that creates drama with mesmerizing waves and sea spray that refreshes your senses. The home was designed by Frederick Liebhardt, a student and disciple of Frank Lloyd Wright, as the personal residence for his mother. 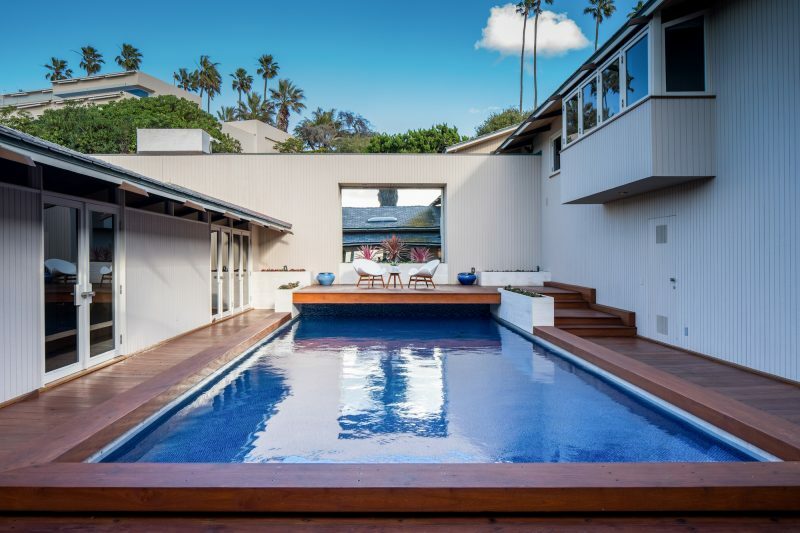 The home was later remodeled with a design by Henry Hester, another prominent mid-century modern architect who had at one point been partners with Liebhardt. 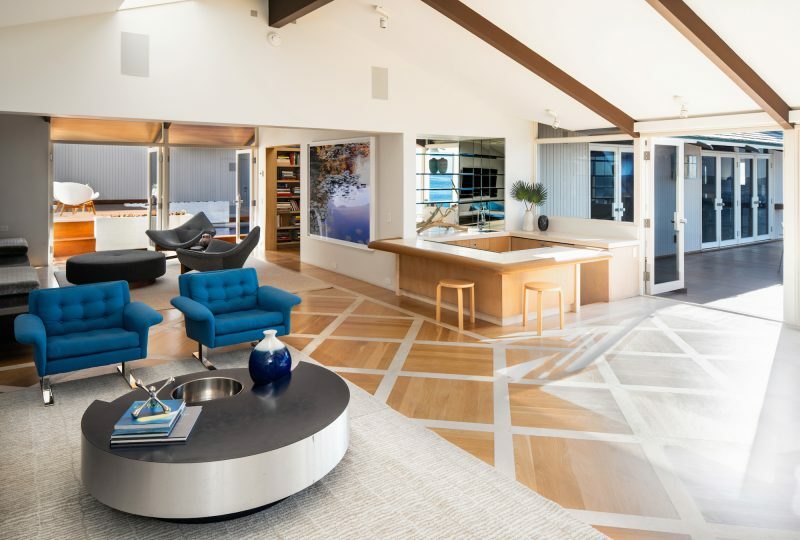 Most recently it was updated by Hill Construction and NYC designer Eddie Lee who modernized the interior to accentuate the clean lines, inviting spaces and indoor/outdoor flow that drove the original concept, while adding details to further the comfort and beach vibe of such a sophisticated home. Living largely like a single level with the master, kitchen and all living and entertaining spaces on the entry level, the home is excellent for both formal entertaining and casual day-to-day living. 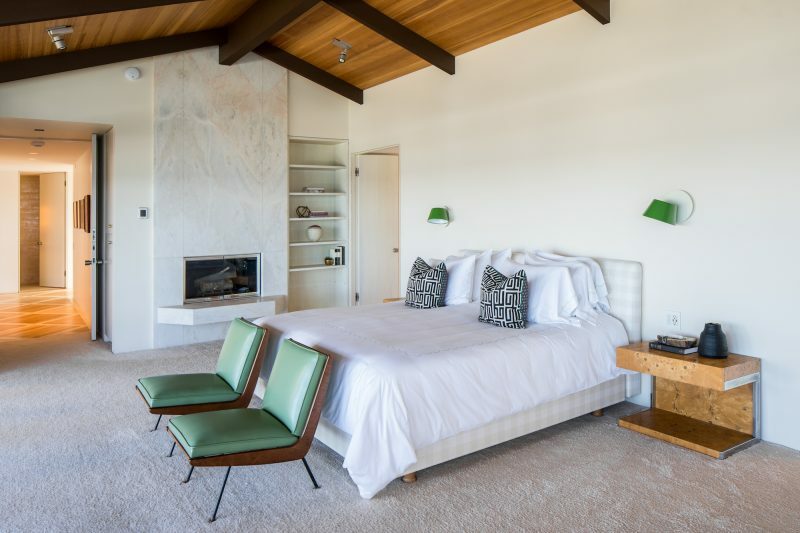 The master suite has dual baths and closets. The home has four bedrooms total. The central pool is protected from cool ocean breeze. 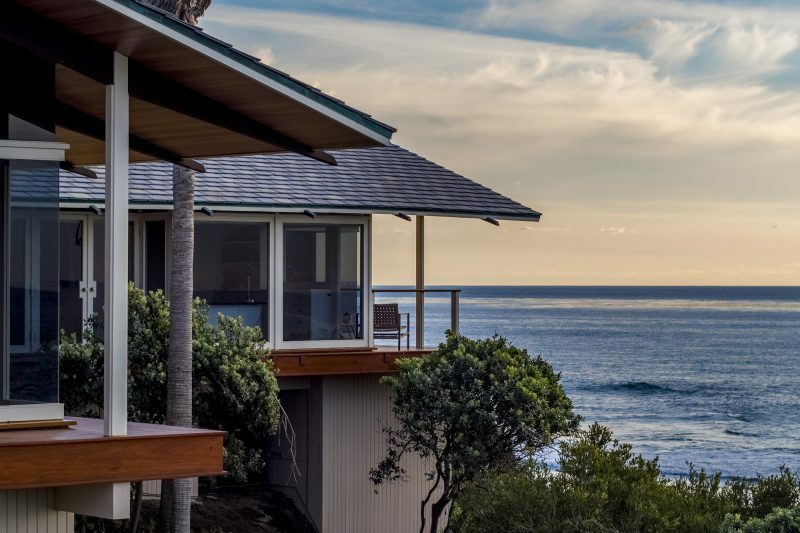 The expansive teak ocean view deck, and floor-to-ceiling glass as well as French doors are just the beginning of the amenities that enhance the enjoyment of the lifestyle that comes with such a phenomenal home. 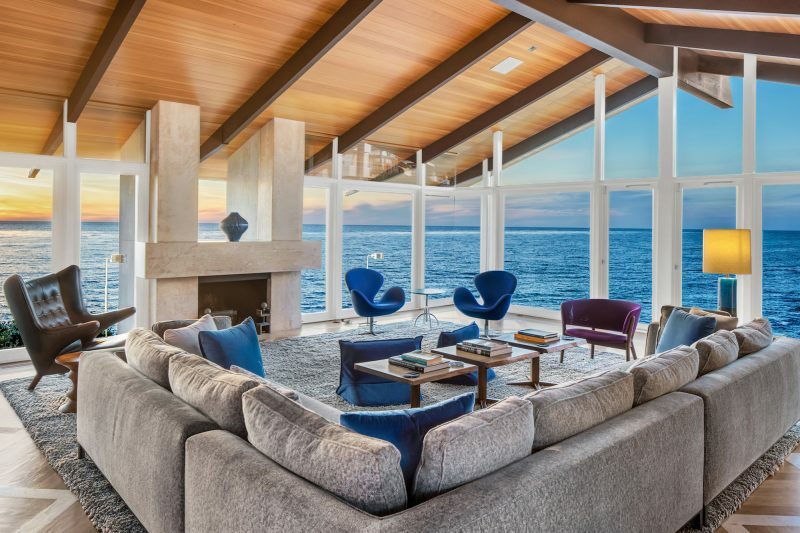 This home is listed for $18.9 million with Willis Allen Real Estate, an affiliate of Luxury Portfolio International®.